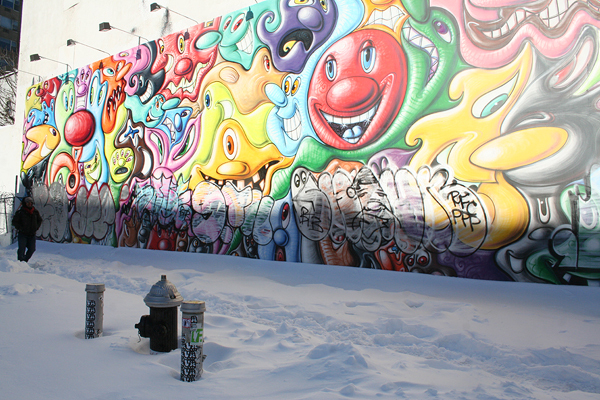 I knew someone will be out bombing in the snow. The legendary Houston wall by Kenny Scharf was bombed by Remo, Ate, 9th and a few others. I love this mural, but i also love fresh graff on the street.